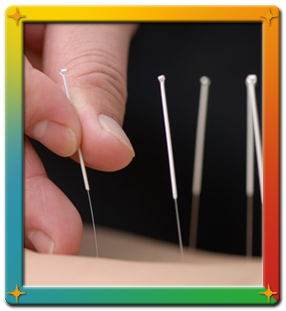 Acupuncture is the practice of inserting thin needles into specific body points to improve health and well-being. It originated in China more than 2,000 years ago. American practices of acupuncture use medical traditions from China, Japan, Korea and other countries. In the United States, the best-known type involves putting hair-thin, metallic needles in your skin. Research has shown that acupuncture reduces nausea and vomiting after surgery and chemotherapy. It can also relieve pain. Acupuncture may be useful for treating headaches, helping in rehabilitation from strokes, and treating a number of muscle conditions. Acupuncture must be done in person.